My kids like to play with water. They fill up their fish bowls with water all the time. The problem is they also empty them inside the house! 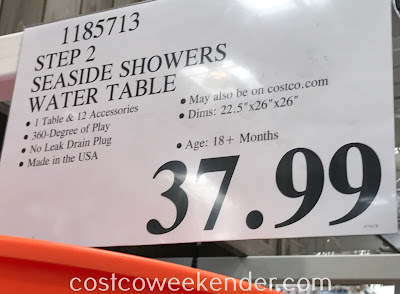 So I decided to buy them the Step2 Seaside Showers Water Table at Costco. 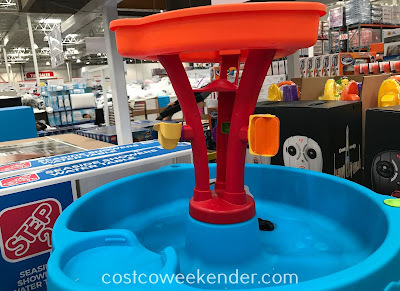 Now they can play with water out in the backyard. And no more drying wet floors or carpet for me. 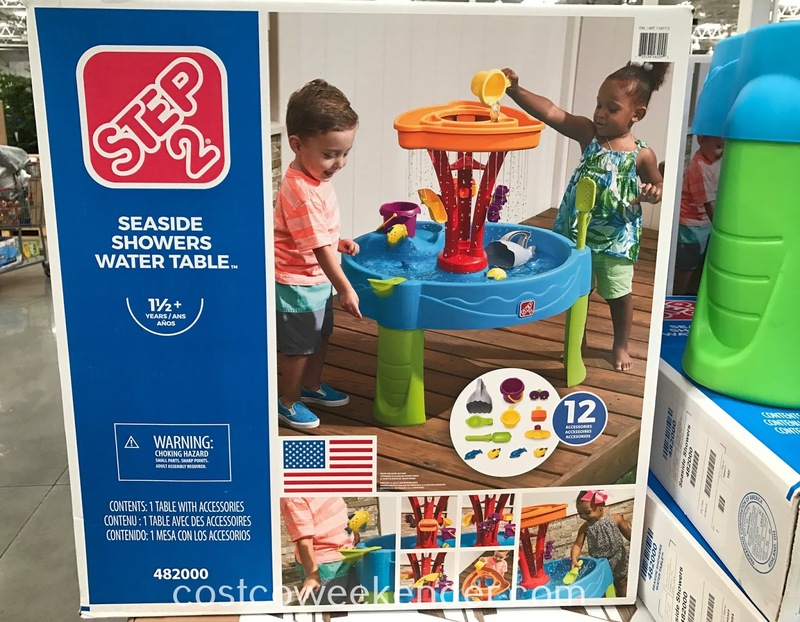 The Step2 Seaside Showers Water Table comes with 12 accessories like several buckets and cups and what appears to be a water fountain feature. They literally played for hours when we first got the Step2. And since they just re-use the water, there's no frequent turning on of the faucet and wasting water. So for kids fun this summer, consider the Step2 Seaside Showers Water Table. Dimensions: 22.5" x 26" x 26"